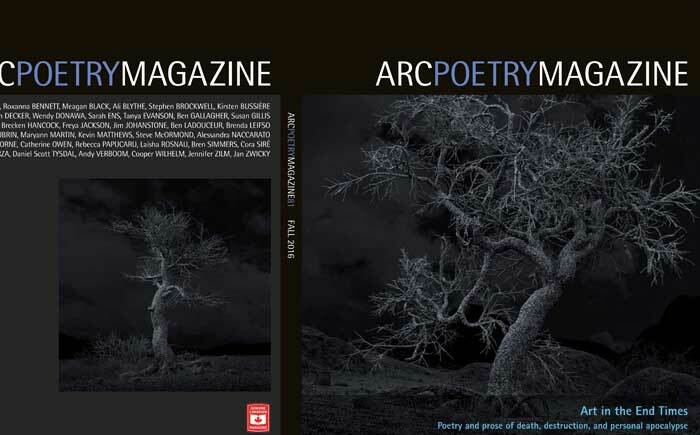 Part of Kelly Richardson’s new series of works entitled Pillars of Dawn is currently featured on the cover of the Fall issue of Arc Poetry Magazine. 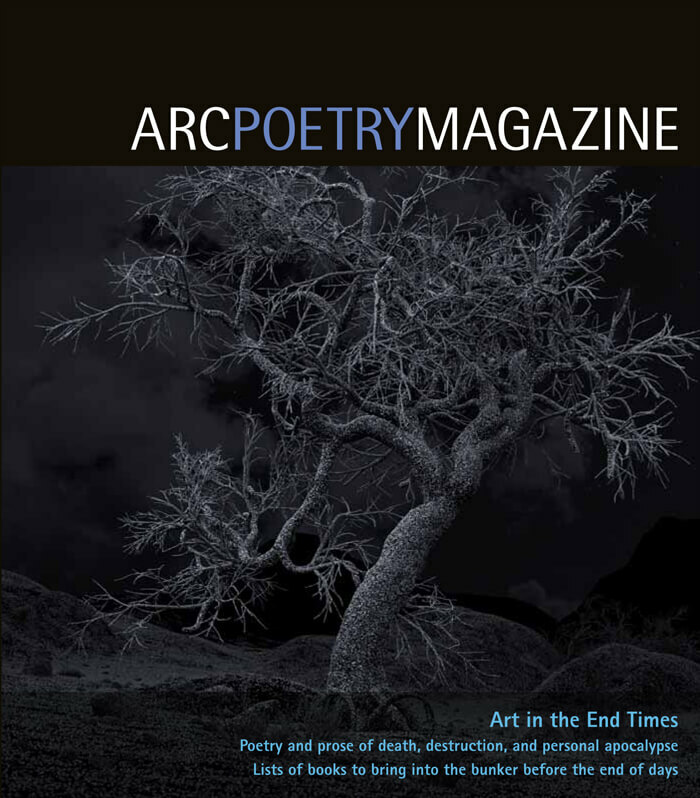 This spe­cial issue of Arc con­tains poet­ry that wit­ness­es the ruin of the earth’s cli­mate, or rumi­nates on the loss of human life, or hopes for some change and sav­iour before human­i­ty’s com­plete and total col­lapse into obliv­ion. If you think that things can’t get any worse, Arc‘s “Art in the End Times” issue con­tains mul­ti­ple pre­dic­tions for what might come in our grim future. a series of lists of books that Arc‘s staff and friends would bring down to the bunker in case of an impend­ing apoc­a­lypse.